Great Northern Bean Soup – aka “It’s Still Snowing Up North Soup”! It’s been showing signs of spring here in Bloomington this past week. It is amazing how much a little sunshine and some 50 degree weather can really change your whole outlook on life – aka, make you HAPPY! 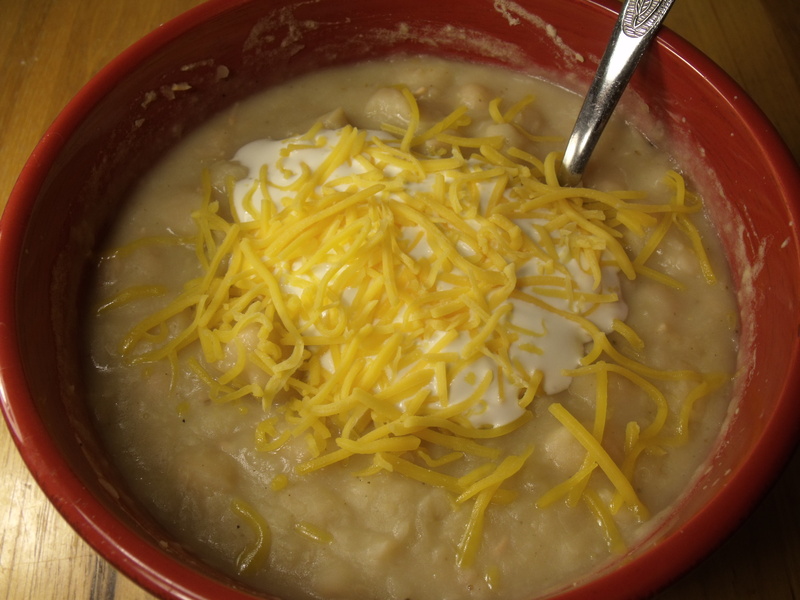 🙂 So, this week for Soup Sunday I have a little something for my northern friends, who live where winter still has a firm grasp on their lives – Great Northern Bean Soup. The great thing about any kind of soup is that the “recipes” are so forgiving. A little bit of this… a little bit of that…. just add in what you like and you are pretty much guaranteed to come up with something tasty. That is especially true for this easy and simple soup. 2) Add desired amount of spices (I like a lot of garlic, some onion powder, a decent amount of pepper, and a small bay leaf. You might need more salt than you think because the beans will absorb it) and a couple vegetable (or chicken I suppose..) bouillon cubes. 3) Bring to a boil and simmer until beans are cooked and falling apart (this will take an 1-1 1/2 hours). It will be a half mushed beans, half soft whole beans consistency. 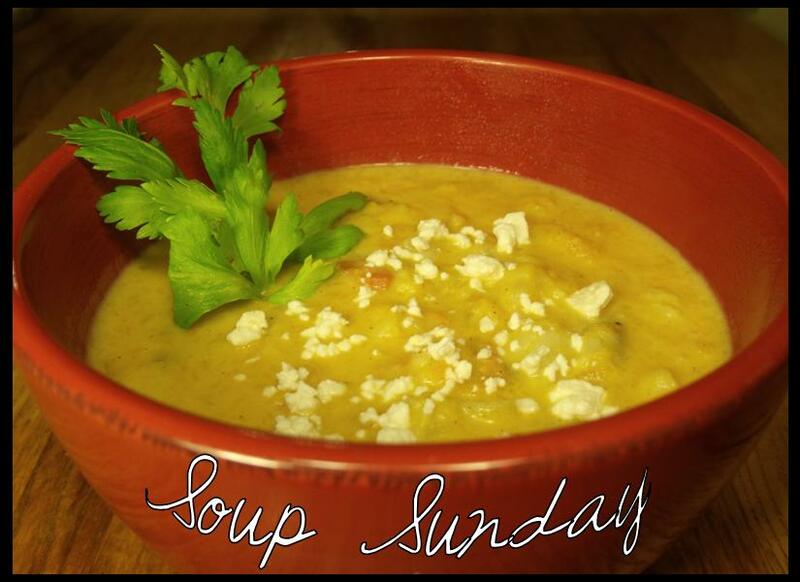 Warm and hearty – perfect for a chilly late winter day!